Over the years Icom have been consistent with their accessory connectors, a large range of their radios use the 2 pin connector, the only exception was the small multi connector that they introduced a few years ago. But these new F1000 & F2000 radios have been given their very own connector, very similar to the first generation but will not work with those radios, the new connector includes 2 holding screws. The range of F1000 radio earpieces is huge , with plenty to choose from, you will find any type of radio earpiece for these F1000 and F2000 radios. Internationally beloved singer, songwriter and guitar hero Riley B. B.B King passed away last year. He was 89 years old. King was a celebrated figure in Blues music from the 1950âs onwards and remained popular both in concert and on record until the time of his death. The future Blues Boy King was born on a cotton plantation in Itta Bene, Mississippi – not far from the Delta, in 1925. He began his musical career by busking on street corners for loose change, usually performing in as many as four neighbouring towns on any given Saturday night. Seeking his fortune, the young man hitchhiked to Memphis, Tennessee, with just his guitar, the clothes on his back and $2.50 to his name. Whilst in Memphis, Riley stayed with his cousin Bukka (pronounced Booker) White, an established Blues performer who sharpened Kingâs already formidable musical instincts. In 1948, B.B performed on Sonny Boy Williamsonâs KWEM radio show, which opened the door for him to perform at the Sixteenth Avenue Grill in West Memphis and later to appear on all-black radio station WDIA. This led to King being given a regular slot on the station, beginning with Kings Spot and later evolving to The Sepia Swing Club. It was during this time that Rileyâs stage name of Beale Street Blues Boy became shortened to the initials B.B. During the 1950âs, a fight broke out between two men at one of B.Bâs gigs. In the resulting fracas, a kerosene stove was knocked over, which set the place ablaze. B.B, dashed into the inferno to save his favourite guitar â an act that very nearly cost him his life. When he learned that the fight had been over the affections of a woman named Lucille, B.B named his guitar after the woman and, from that day on, all of his guitars bore the name Lucille. King, now a local radio star as well as a very popular musician in his own right, soon had a number one hit on his hands with Three Oâclock Blues, this set the boy from Beale Street touring the United States of America, something he would continue to do for the rest of his life. Towards the end of the 1960âs, B.B found that his music was transitioning to a young, white audience that were eager to embrace his electric Blues sound. B.B, who had spent his professional life playing almost exclusively to black audiences, suddenly found himself receiving standing ovations and an unprecedented level of respect and appreciation from white audiences, as well. When he recalled the times changing around him in the 2003 documentary film The Road To Memphis, produced by Martin Scorsese, he was legitimately moved to tears. His music had broken down racial barriers and ultimately won the hearts of people from all races, all walks of life. When he opened for The Rolling Stones on their 1969 US tour, Kingâs international stardom was assured. From this point on, B.B King held a new ambition close to his heart; he wanted to be known, nationally and internationally, as the ambassador of the Blues. In the 1970âs, B.B King was a big enough name to tour internationally, visiting Africa for a series of concerts that were filmed for commercial release as B.B King: Live in Africa. Throughout the next four decades, B.B toured the world, recording live albums in places as far afield as Japan, Great Britain and San Quentin State Prison. King toured Europe, Australia, New Zealand and even visited the UK from time to time, where this writer was lucky enough to watch the late, great man ply his trade in front of an awestruck and mesmerized audience. The list of guitarists influenced by B.Bâs incendiary sound is a long and impressive one. Names include Jimi Hendrix, Eric Clapton, Buddy Guy, Freddie King, Albert King (neither are related to B.B) and Johnny Winter amongst many, many others. B.B King won at least 9 Grammy awards (among numerous other accolades), was honoured and admired by several American Presidents and touched a great deal of hearts into the bargain. B.B King recorded 42 studio albums and many more live albums, including critically acclaimed masterpieces like 1965âs Live at the Regal, 1969âs Live & Well, 1970âs Indianola Mississippi Seeds and 2005âs birthday celebration album, simply titled 80. Earlier this week, a procession of fans, musicians and well-wishers paid tribute to Kingâs memory. Walking through the streets of Memphis, a Dixieland Jazz band followed a black hearse down Beale Street, as local act The Mighty Souls Brass Band played, When the Saints Go Marching In in honour of a musical legend. Later in the day, a tribute concert, featuring artists Bobby Rush, The Ghost Town Blues Band and Ruby Taylor amongst others, was held in B.Bâs honour. Upon hearing the news of B.Bâs passing, US President Barack Obama sadly said, âthe Blues has lost its king and America has lost a legendâ. Kingâs final studio album, 2008âs One Kind Favor, paid tribute not only to his own illustrious career, but also to an early influence of his, Texas Bluesman Blind Lemon Jefferson. On the title track, B.B covered one of Lemonâs best-known songs, See That My Grave is Kept Clean. There really isnât much else to say about the staggeringly significant life and career of Riley B. King, perhaps better known as The King of the Blues except that his grave will most certainly be kept clean and that his legacy will live on until time immemorial. 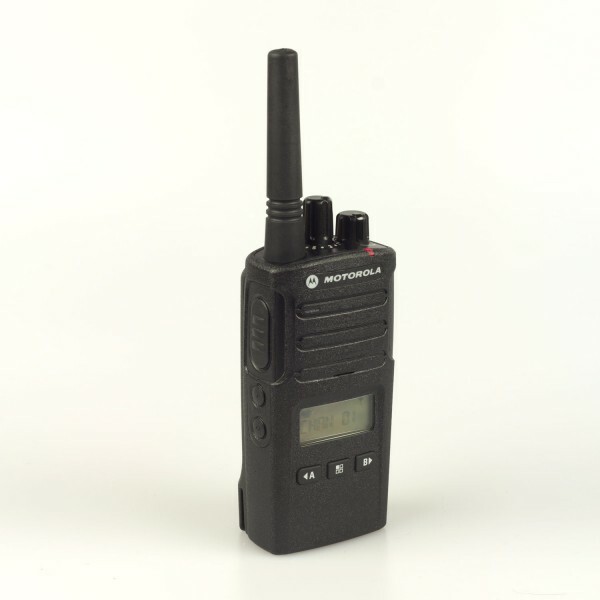 Sepura are masters of the tetra market, they have produced radios for many years for theÂ emergencyÂ services. police and airport security, a forward runner for the digital systems we now see all around the UK. The SC20 is the new generation of Sepura radios ready for the modern day work force.Â We found this article on this website and thought that our readers would find it useful. First orders of Sepura’s new flagship hand-portable radios, the SC20 series, will be shipped in February. Shaped by user feedback, SC20 series hand-portable radios are resilient, intelligent and durable, providing intuitive operation and outstanding performance, even in the toughest conditions. Broadband-ready, the SC2020 (380MHz-430MHz) and the SC2040 (403MHz-470MHz) combine the mission-critical security and advanced performance of TETRA with an optional second high-speed data bearer capability. A new, powerful Class 3 TETRA engine is paired with a new receiver that surpasses the ETSI specification, a unique combination, extending operational range and stretching coverage into areas where it was not possible before. The radios’ powerful 2W audio capability, enhanced by unique water-porting technology, allows for uncompromised audio clarity, even in continuous heavy rain. Uniquely, the SC20 series boasts IP66, 67 and 68 environmental protection rating, meaning that it is completely dustproof, submersible to a depth of two metres for one hour and impervious to jets of water. Its design also enables it to be easily cleaned by simply rinsing dust and dirt off under the tap. Additionally, the radios’ high-resolution screen, the largest on the market today, is specifically designed to provide a richer user experience. The larger screen enables the display of more comprehensive data, suitable for future applications via high-speed data; it is also viewable in all light conditions, including direct sunlight. “The SC20 has been designed to deliver the highest levels of robustness, endurance, audio clarity and power. It is designed to place and receive calls where it simply was not possible before,” commented Mark Barnby, Sepura’s head of product management – devices. Steve Barber, VP group strategy for Sepura, commented: “The SC20 confirms our vision for the future and demonstrates our ability to adapt to the fast-moving markets in which we operate.